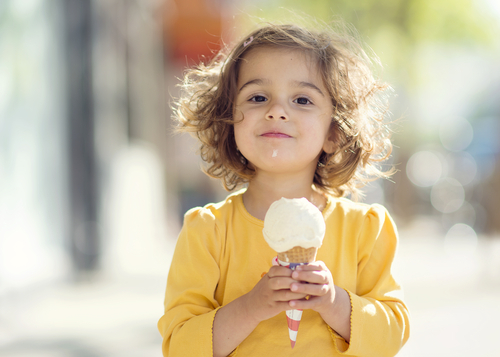 Is there anything that goes together better than ice cream and a scorching summer day? 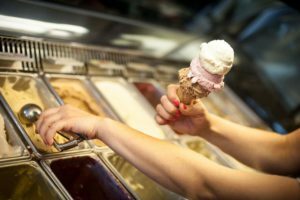 Here in the Twin Cities, we have a mouth-watering number of choices when it comes to grabbing a scoop to cool off during a warm summer day. 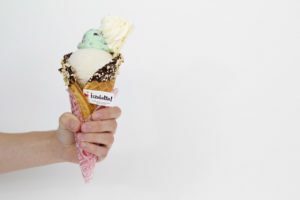 There are shops for every ice cream aficionado, featuring everything from a classic banana splits to a modern, flavor-daring cone of olive oil with sea salt ice cream. With summer quickly approaching, we put together a list of some of the COOLest ice cream shops throughout the Twin Cities so you’ll know where to enjoy a frozen treat this summer. So, without further ado. Let’s get to the must-try spots. Why Go: Formerly known as Crema Cafe, Sonny’s Ice Cream makes over 1,000 flavors of ice cream, gelato and sorbet. Sonny’s is famous for their wide array of flavors, with unique offerings such as Rhubarb Sorbet and Cardamom Black Pepper Ice Cream. Why Go: Cone Brothers is a 1950’s-style ice cream shop that serves 20 flavors of ice cream as well as all-fruit smoothies and vintage sodas. 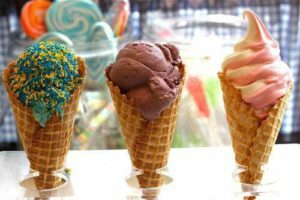 The Cone Brothers menu will have you licking your lips with bold flavors like Blueberry Cheesecake and Mint Avalanche. Why Go: If you’re spending the day at Lake Minnetonka and need a break from the heat, stop into Adele’s. 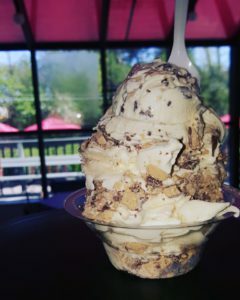 Adele’s specializes in custard with the option of adding all the toppings you’d want. They also offer Frozen Custard Pies like the Turtle Pie, which includes an Oreo crust, caramel, fudge, vanilla custard, pecans and cashews. Why Go: The Edina Creamery offers 50 flavors of their delicious homemade, creamy ice cream. 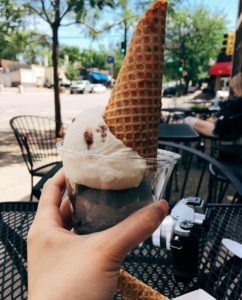 Some of the go-to options at Edina Creamery include Amaretto Chocolate Cherry and Espresso Love, which comes with a nice kick of caffeine. Why Go: Located in the Lake Nokomis neighborhood of South Minneapolis, Pumphouse’ is a great spot if you’re searching for boldly-flavored ice cream. Their menu features flavors like Belgian Chocolate, Whiskey Barrel Aged Soy Sauce and Vanilla Bean and Passion Fruit. Not in the mood for ice cream? Have a refreshing mug of their on-tap Root Beer or a rhubarb soda. Why Go: Grand Ole Creamery features a blend of two American delights: Pizza and ice cream! During his Twin Cities visit a few summers ago, President Obama stopped by the Grand Ole Creamery and enjoyed a scoop of Black Hills Gold ice cream in a waffle cone. Other awesome flavors to try for yourself would be their Peppermint Bon Bon and Lady Bug Sorbet. 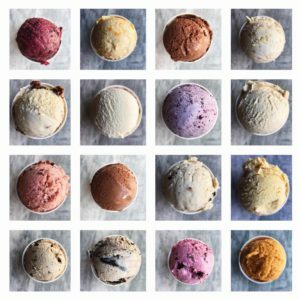 Why Go: Sebastian Joe’s serves up scoops of all natural ice cream that features zero artificial ingredients. They have their core group of flavors that includes Raspberry Chocolate Chip and Pavarotti (a mix of caramel, bananas, vanilla ice cream and chocolate chips) as well as rotating flavors like Creme Fresh Curry Crunch. 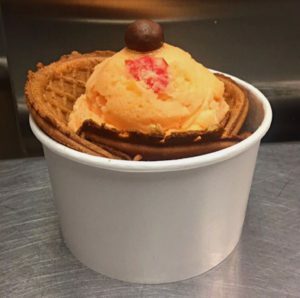 Why Go: Izzy’s is famous for their Izzy Scoop, which is a waffle cone with one or two large scoops of ice cream with an additional smaller scoop of a different flavored ice cream stacked on top. They have lots of fun flavors available including Praline Pecan and Strawberry Cheesecake. Take your Izzy Scoop on a stroll at the Gold Medal Park, just across the street. Izzy’s also have award winning chocolate milk. Ice cream is a wonderful relief from a hot summer day. So is a comfortably air conditioned home. 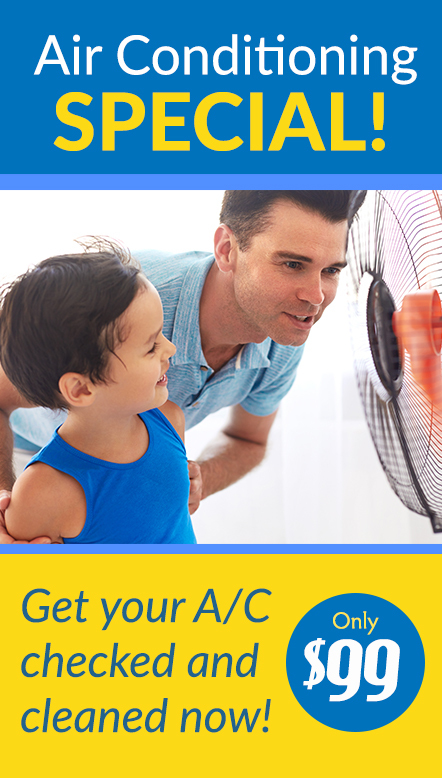 Is it time you treated yourself to a new A/C? 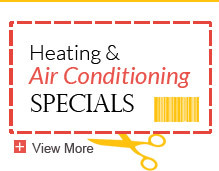 We offer a range of A/C services at Welter Heating including maintenance, repair and installation. 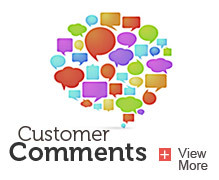 Check out our air conditioning services page today to learn more about our services.